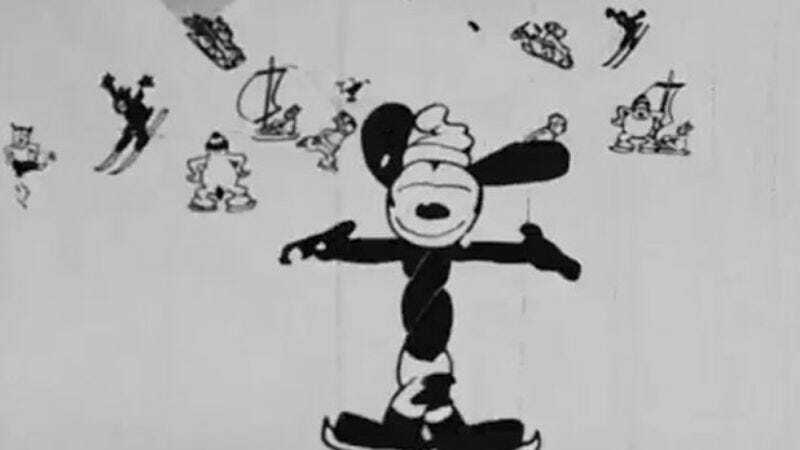 If you were looking for a long-lost Disney short film featuring the proto-Mickey Mouse, the British Film Institute National Archive might not be the first place you’d look. You’d probably want to question one of these weirdos first. But your instincts would be wrong, as proven by the recent discovery of “Sleigh Bells” in the British film archive. According to The Wrap, the 6-minute short was found somewhere in the BFI (possibly next to this alternate ending to Casablanca), and has already been returned to Disney, who will presumably screen it a few times before locking it away in its “vault,” along with all those princess movies. “Sleigh Bells” was made in 1928 and featured Disney’s first character ever, Oswald The Lucky Rabbit. We’re not entirely certain what made Oswald so lucky, other than that he’d managed to hang on to both of his feet. But that moniker turned out to be not so accurate because the long-eared fellow was replaced by Mickey Mouse as the face of Disney. It wasn’t the rabbit’s fault, though—Walt Disney had created Oswald for Universal Pictures. He didn’t take kindly to Universal’s Charles Mintz slashing his budget, and since he didn’t own the character anyway, Disney preferred to walk away and start over. Although “Sleigh Bells” has remained unseen—though that could change, because Disney never met a revenue stream it didn’t like—Oswald’s adventures were compiled in DVD form almost ten years ago. Oswald has been largely forgotten, despite being one of the first cartoon characters to engage in an interspecies romance (he was married to a cat named Ortensia). But The Wrap reports that Disney is restoring “Sleigh Bells,” and will have a world premiere of the short film at the BFI on December 12.